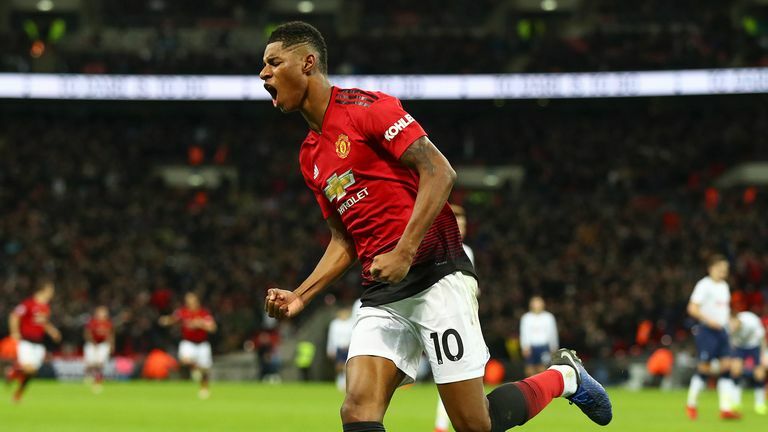 It's top marks for history-making Ole Gunnar Solskjaer and his Man Utd team as we grade every Premier League team this weekend. Man Utd have won all six Premier League games under their caretaker manager, winning 1-0 against Tottenham on Sunday. 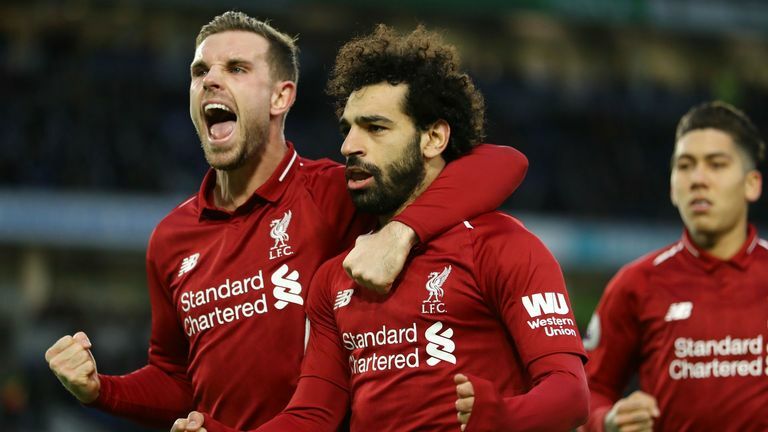 Liverpool also maintained their lead at the top with a 1-0 win against Brighton. 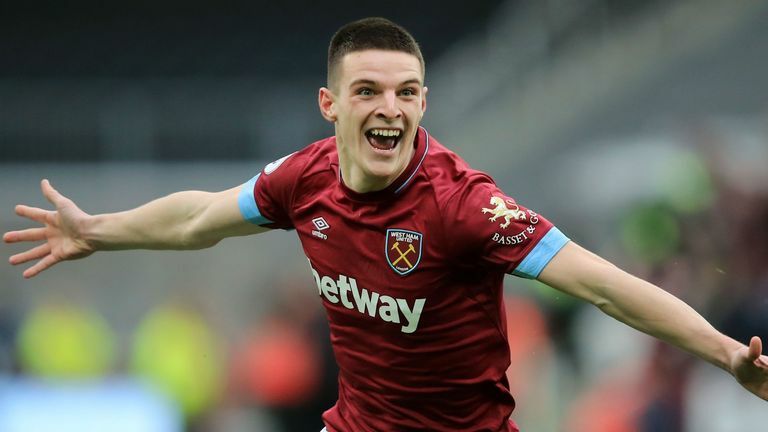 Arsenal lost 1-0 to West Ham as the cracks start to show under Unai Emery, while Chelsea, Everton and Southampton also won. Here, we give each team a grade based on their performance this weekend. History for Ole Gunnar Solskjaer! Manchester United's win at Tottenham has seen him equal Matt Busby's all-time record of winning his first five league games in charge of Manchester United. A sixth straight win in all competitions also sees Solskjaer confirm the best start of any manager in Manchester United's history. And Gary Neville, speaking on the Gary Neville podcast, was full of praise for his former team-mate. "At Wembley, it was the acid test [for Solskjaer]. It was the moment where people said could he live in a big game and could he live against the big managers. "Second-half I thought it was about spirit, desire and hanging on a little bit. The players were playing for the manager. But in the first half, he caught Mauricio Pochettino and Tottenham out. There's no doubt about that." The United players also deserve a lot of credit, especially goalkeeper David de Gea. The Spain international made 11 saves in the match - only against Arsenal in December 2017 has he ever made more in a Premier League match (14). Head here to listen to the Gary Neville podcast following Man Utd's 1-0 win against Tottenham. "It's not opera football but it's still a really nice song," was how Jurgen Klopp summed up Liverpool's win over Brighton. This was a tale of two halves where Southampton showed two different styles to walk away from Leicester with maximum points. For the first 45 minutes, they pressed the life out of the opposition and - with Shane Long at the forefront - caused all sorts of problems for the Leicester backline. Burnley beat Fulham without registering a single shot on target in a match where it was their defensive display which arguably saw them over the line. Sean Dyche's side were resolute off the ball and were able to alleviate the pressure on their backline thanks to the industry of Jeff Hendrick and Dwight McNeil on the flanks. 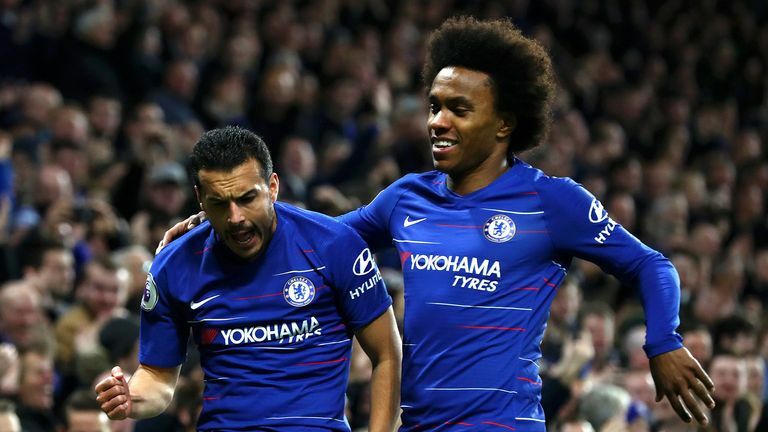 Chelsea picked up an extremely positive result against Newcastle to strengthen their bid for a top-four finish in the Premier League. However, not everything is rosy at Stamford Bridge. The Blues were far from their best against Newcastle with head coach Mauricio Sarri once again bemoaning his side's mentality. "We slept for 20, 25 minutes, so at the end of the first half we were in trouble," he said. "We need to improve in the mental reaction because after the first goal something happened. We stopped playing for 20 minutes. But it was really very important to gain points today. That was enough." Sarri is also not happy with the options at his disposal in terms of his squad. He admitted he wants to sign a replacement for Cesc Fabregas and the club have been linked with a move for Argentian striker Gonzalo Higuain. 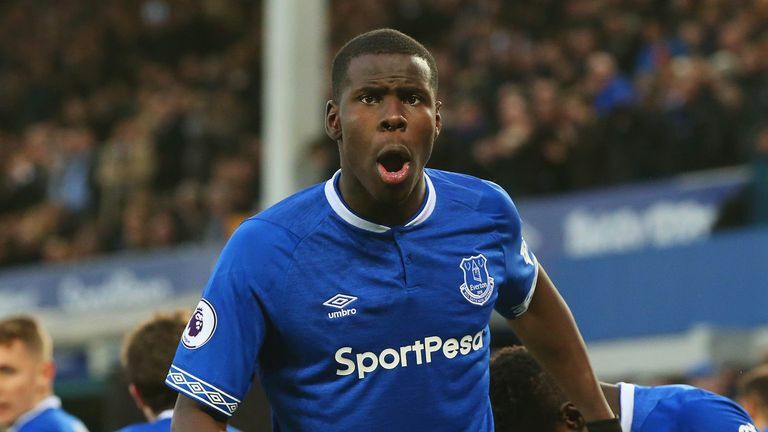 Highlights from Everton's 2-0 win over Bournemouth in the Premier League. Tottenham will be wondering how they didn't come away with a positive result against Manchester United. 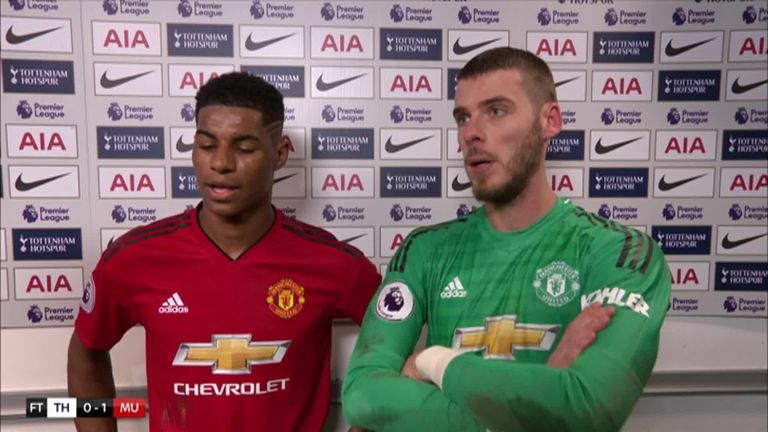 But for David de Gea's outstanding performance, Harry Kane and Dele Alii could have had two goals apiece as Spurs put in what Mauricio Pochettino described as 'the best performance' of his tenure. 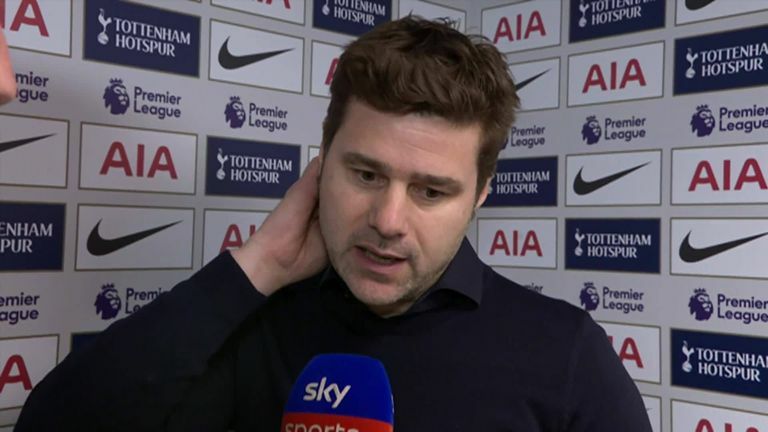 "I am so pleased and I'm proud," Pochettino told Sky Sports. "After four-and-a-half-years, the second half was the best performance I have seen Tottenham play. 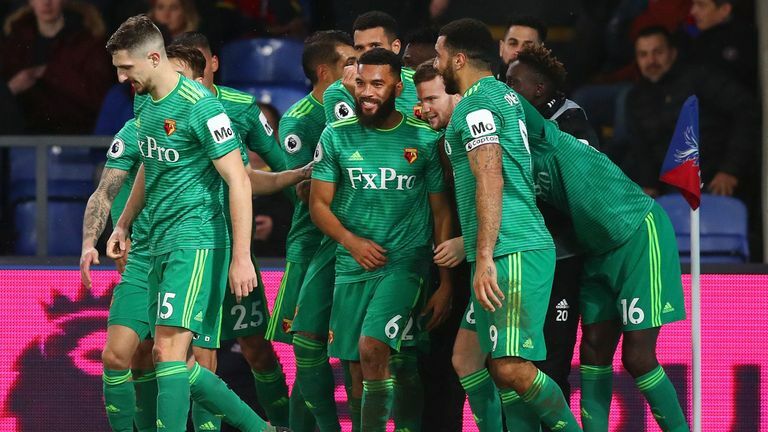 Although it was an even encounter between Crystal Palace and Watford at Selhurst Park, the Hornets just edge ahead in the ratings after two goals of real quality. Craig Cathcart atoned for his earlier own goal - despite not knowing much about it - with a fine header before Tom Cleverley sealed the 2-1 win with a superb volley as he continues his return from injury. 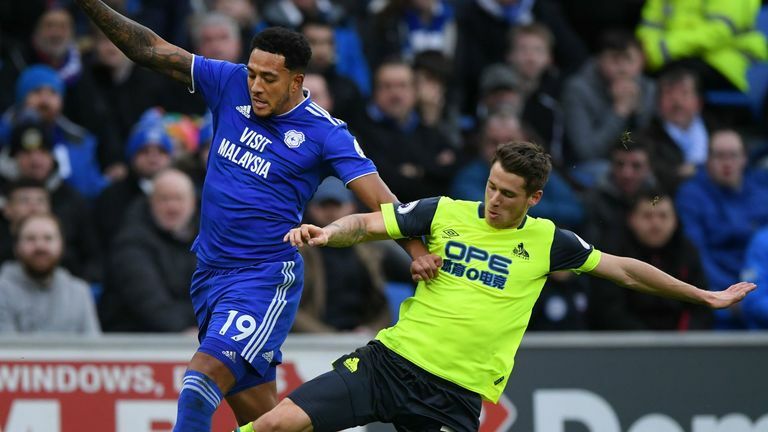 David Wagner said as much after seeing his side held to a draw at Cardiff. It was the latest example of Huddersfield producing a perfectly acceptable performance, with the right attitude on show, but they contrive to find new ways of not winning football matches. The Terriers have struggled to keep clean sheets this season, adding to the pressure at the other end to find the net, but on the rare occasion of an away shut-out, Steve Mounie, Elias Kachunga were unable to muster a clear opportunity. When you have as many bookings as you have shots at home to Huddersfield (three) when a win can create clear daylight with your relegation rivals, you're not going to finish top of the class. 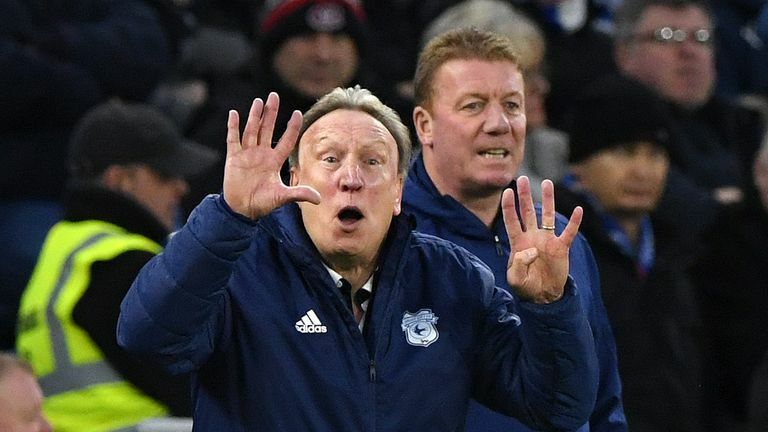 Neil Warnock admitted his side were undercooked with Victor Camarasa and Callum Paterson visibly playing through injuries, but Cardiff's shortcomings were evident throughout a turgid affair. Newcastle put in a spirited display at Stamford Bridge but in the end, they once again came up short against a 'big six' side. The club's total of 18 points from their opening 22 matches is their lowest tally at this stage of a top-flight season since the 1988-89 campaign (17 points), with the Magpies going on to be relegated under manager Jim Smith. 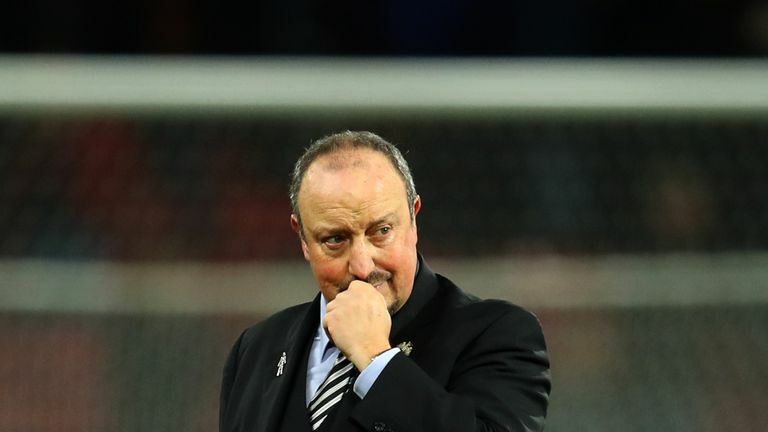 Despite dropping into the relegation zone following defeat to Chelsea, Rafael Benitez is putting a brave face on things, saying he is confident his side can beat the drop. 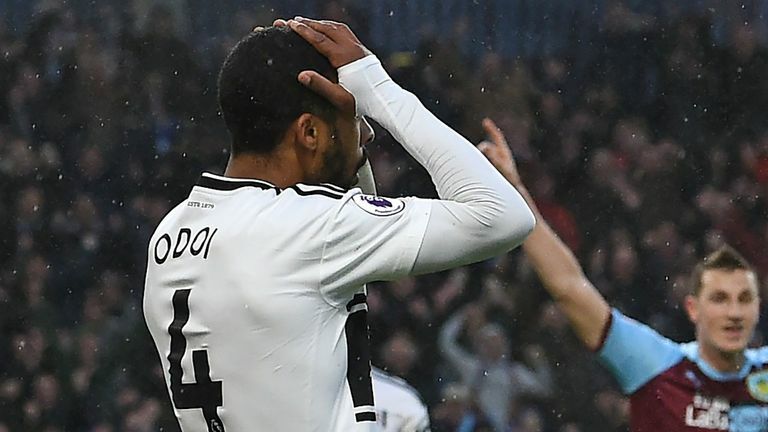 Fulham will feel they deserved more from their defeat at Burnley as they prevented their opponents from registering a single shot on target. After Andre Schurrle's screamer got Claudio Ranieri's side off to the perfect start, they failed to profit from opportunities they created in the first half with Calum Chambers and Ryan Sessegnon missing gilt-edged chances. It was hard to separate Crystal Palace and Watford on Saturday in what was quite a scrappy game in all fairness. 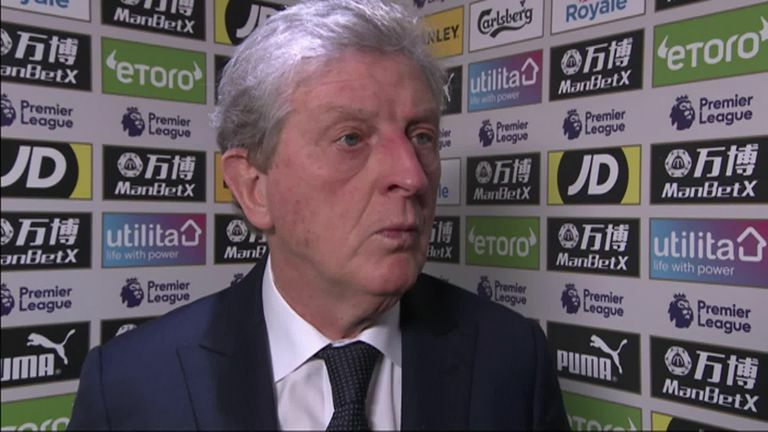 Roy Hodgson's side got a big slice of luck with their goal - a scramble in the area and an unwitting own goal from Craig Cathcart - but two moments of quality saw them pipped for the points. Is the pressure growing on Claude Puel at Leicester? 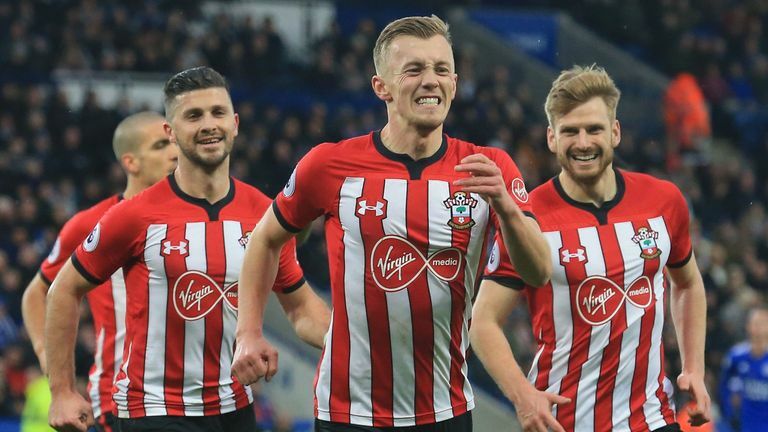 It was all too predictable from Claude Puel's men for large parts of their defeat to Southampton. Despite playing against 10-men for just over 45 minutes, they not only failed to stage a comeback they also managed to concede. The second half especially was a tough watch for the home faithful. When are the CL semi-finals and final?